The Injury Lawyers are investigating certain valsartan side effects and the potential links between the recall and the possible contamination issues. 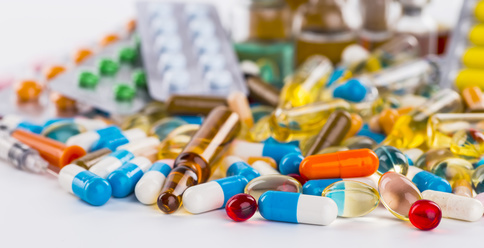 In 2018, a Class 1 Medicines Recall was initiated by the MHRA (Medicines and Healthcare products Regulatory Agency). This is understood to be Europe-wide, and is for the products supplied by Actavis Group PTC (now Accord) and Dexcel Pharma Ltd. The recall came into immediate effect, and healthcare organisations were asked to quarantine unused lots of the blood pressure meds right away. The issue is quite a worrying one. The potential contamination that’s understood to have stemmed from the manufacturing process could be linked to cancer. The recall from last year is more focused on whether there may be any sinister valsartan side effects that are above and beyond what was expected. Although medication usually comes with warnings and can often cause potential side effects, this isn’t an issue about inherent risks. This is an issue over potential contamination (during the manufacturing process) of NDMA; otherwise known as nitrosodimethylamine. NDMA has been linked to cancer as a carcinogenic. It can also cause damage to cells (genotoxic). It goes without saying that this is potentially very serious indeed. Given the potential problems and how serious they could be, we’re investigating valsartan side effects and any links to the potential contamination. Anyone who has suffered side effects in England and Wales is being encouraged to come forward for help and advice. Make sure you seek urgent medical attention in relation to any side effects first and foremost. When it comes to legal advice, we may be able to help. In the US, there are already group cases and class action lawsuits. Although it’s early days here, we can look into any potential cases and potentially take cases forward on a No Win, No Fee basis. We have represented many people in previous group action medical recall litigations. This is our specialty. For free, no-obligation advice, please call 0800 634 75 75 or complete an enquiry form today and the team can get back to you. This entry was posted in Cancer, Medical Negligence, Product Liability Claims and tagged Medical, Medical Negligence, prescription drugs, Product Recalls by Matt. This post was published on March 26th, 2019.